Torrential rain in western Japan earlier this month and the preceding downpour brought by Typhoon Prapiroon caused ¥119.8 billion in damage to the agricultural and fishery sectors, far more than previously estimated, the government said Sunday. The Ministry of Agriculture, Forestry and Fisheries previously estimated the damage at ¥76.8 billion. Prime Minister Shinzo Abe ordered the government’s disaster response team Sunday to compile relief measures for affected industries using a ¥400 billion reserve fund and other sources. As for small businesses in nonfarm sectors, Chief Cabinet Secretary Yoshihide Suga told reporters losses caused by the rain disaster exceed ¥470 billion. 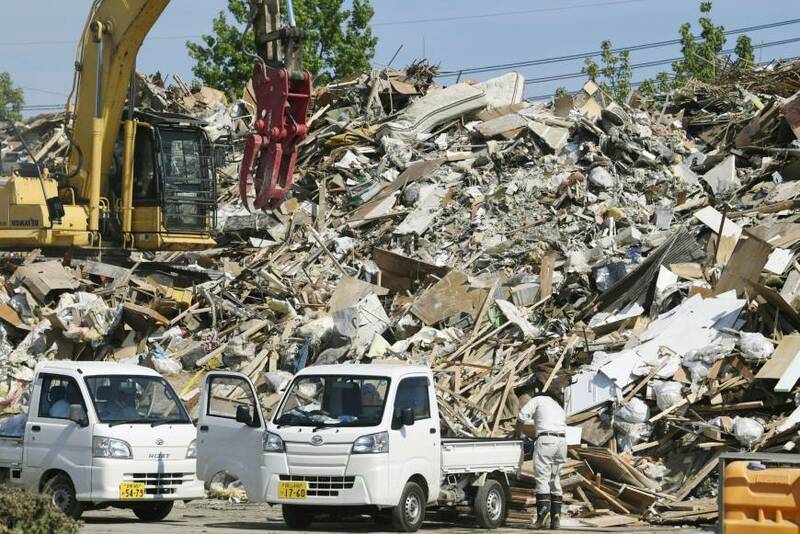 The National Police Agency said Sunday the death toll from the rain has been reduced by one to 224, after a death in Hiroshima Prefecture turned out to be unrelated to the disaster. Of the 224 deaths reported in 15 prefectures, 112 occurred in Hiroshima, while 61 people died in Okayama and a further 26 in Ehime. 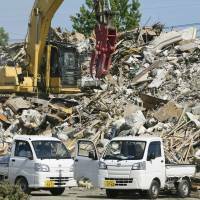 As of 8 p.m. Saturday, there were still about 4,400 people in 13 prefectures living away from their homes, including those staying in shelters such as school gymnasiums, after floods and landslides destroyed or damaged more than 38,000 homes across Japan, according to the internal affairs ministry. Water outages continued to affect 17,000 households in the three hardest-hit prefectures of Okayama, Hiroshima and Ehime as of 6 a.m. Sunday, a health ministry tally showed.